13.24mm x 18.51mm / 0.521in. x 0.729in. Cross Oval Disc Charm by Rembrandt Charms. The height is 3/4 of an inch. 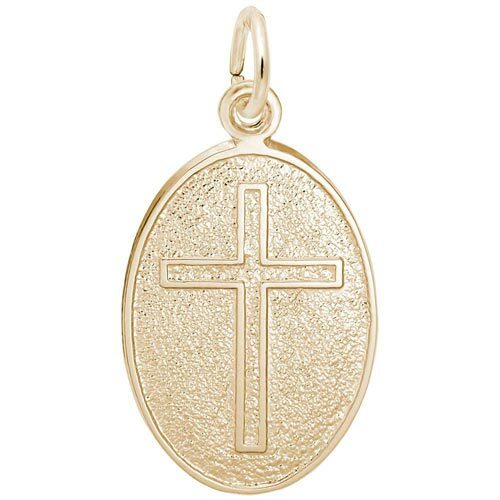 Showoff your faith with this Cross Oval Disc Charm. Engrave your favorite Bible verse or important dates. This Christian symbol makes a nice gift.